Curry 36 is the kind of place that may not look like much at a glance, but it’s always packed and ultimately achieves an almost iconic status. 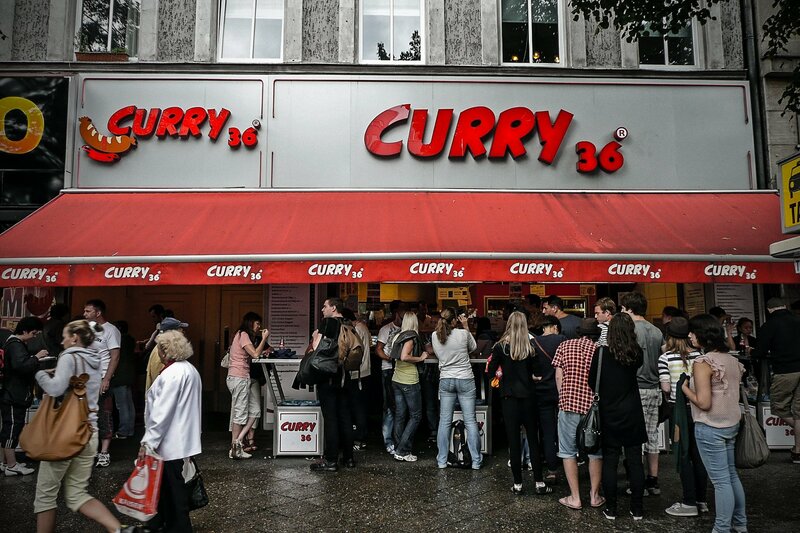 Many places in Berlin serve the famous currywurst, but none can match the appeal of Curry 36, a street stall that has served the fast-food staple for more than 30 years. It’s open from 9:00 am to 5:00 am, catering to those who are on a lunch break from work but also to the people taking a detour on their way home at night while trying (very hard) to maintain their balance.